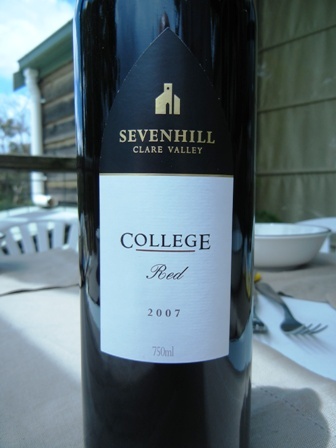 When I opened the bottle of ‘2007 College Red’ by Sevenhill Cellars from the Clare Valley and had the first sip I thought how awful. But after a short while only, my perception changed. The wine “opened up” so to say. I just had to get used to the blend: one of Cabernet Franc with Malbec. Unusual somehow with dense aromas, a full palate of red and black fruit, weighty with a long finish. In Argentina Malbec is blended with many other red varieties but not so in Australia. Beautiful. I immediately regretted that we had only one bottle of it. It came as part of a special order pack. 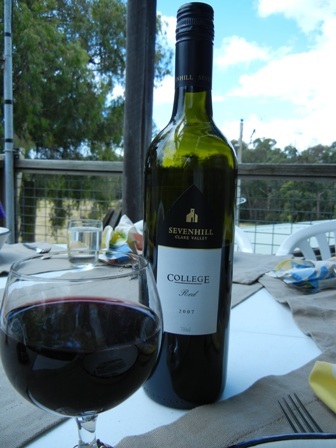 We will have to order more from Sevenhill Cellars. At A$ 12 per bottle the wine is quite affordable. 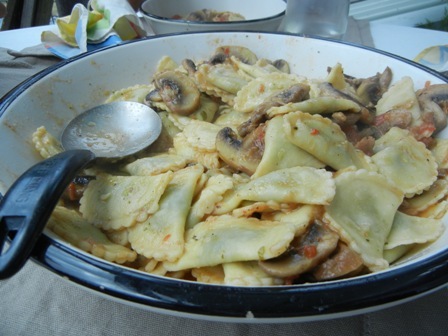 The blend of Cabernet Franc-Malbec went very well with the food: Agnolotti (originating from the Piedmont region of Italy) with mushrooms. It made a very pleasant lunch on a warm summers day on our farm in Glenburn. 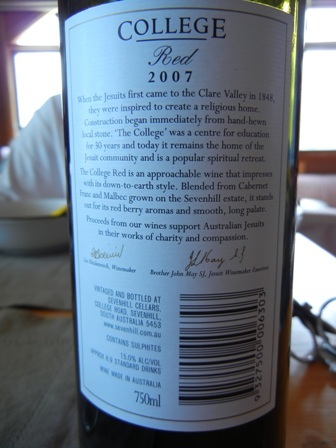 This entry was posted on Sunday, January 16th, 2011 at 8:09 pm and is filed under wine, wine regions, wineries. You can follow any responses to this entry through the RSS 2.0 feed. You can leave a response, or trackback from your own site.